A 100km cycling tour through the northern province of Cao Bang may satisfy all these desires. The Centre for Rural Economic Development (CRED) recently held an experimental bike tour linking Quang Uyen and Trung Khanh districts in Cao Bang. Odf the 21 taking part, 18 were foreign professionals — and the rest Vietnamese. 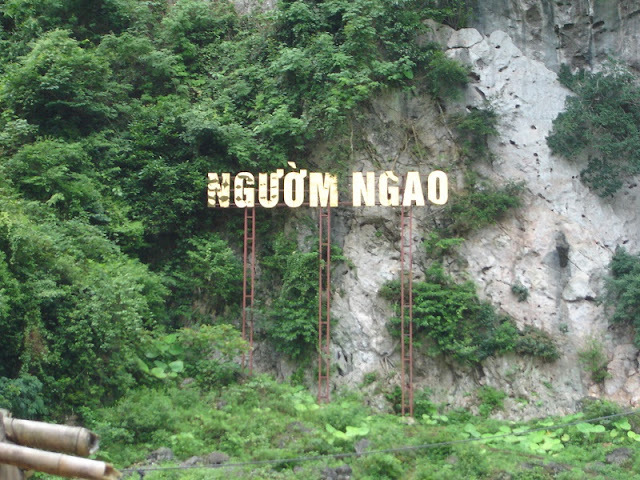 “This is the first tour of the Viet Nam Responsible Tourism network in Cao Bang Province," said Cao Dai Hung, manager of a project titled Improving the Livelihood of Ethnic Minorities through Community-Based Tourism. “Participants not only cycled but also interacted with locals, watching them make handicrafts and joining in the producing process,” he said. The tour linked Phia Thap incense making village, Dìa Tren paper making village and Lan Duoi bamboo basket village stretching to Ban Gioc Water Falls and Pac Rang metal forging village. Participants also tasted local dishes and spent nights at high-quality homestays developed by the project, Hung said. During the tour, the participants bought handicraft products to support crafts people and contributed VND28,500,000 (US$1,267) to buy 51 pigs for needy households in Phia Thap Village. 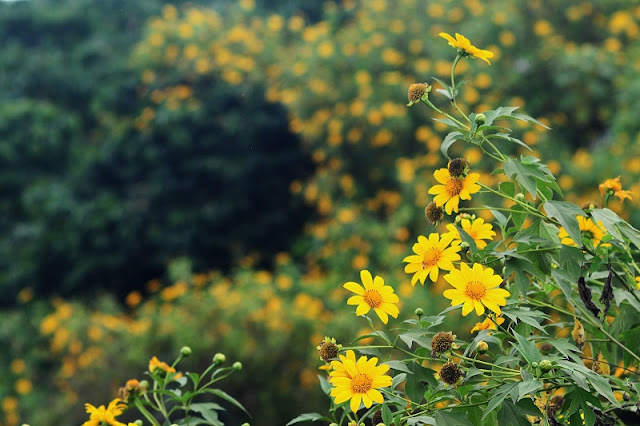 “Such activities directly support locals and change their awareness of community tourism, encourage them to join in the process of protecting natural resources and developing tourism in the communities,” Hung said. 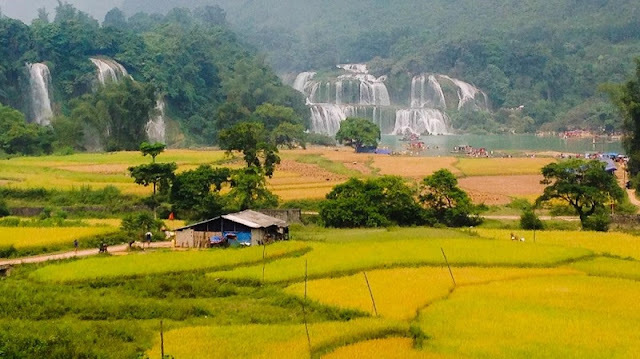 “I joined the tour because I wanted to know more about the beautiful landscapes, rare customs and traditions of ethnic groups in the north of Viet Nam,” said Onnei Wong, from Fiji Republic, “I found Cao Bang a beautiful land with mountains embracing villages, clean and peaceful atmosphere. “Handicraft villages are located near one another, so tourists don’t have to travel long to try local products,” he said. Vi Van Bang, a resident in Lan Duoi Village could not hide his excitement when receiving guests. “Welcoming the guests and guiding them how to make baskets from bamboo is fun,” he said, “Many of them are eager to learn.” Spanish tourist Nacho Sevilla said that was his second cycling tour to the north of the country, the first time he joined a ride in Hoang Su Phi District of Ha Giang Province. “It’s really beautiful, I really enjoy it,” he said. Participants in the recent tour also spent time collecting rubbish at Ban Gioc Water Falls. Sam Hai Bang, deputy director of Cao Bang Tourism Company, highly appreciated the project. “Developing economy through tourism is a sustainable way, through which locals become highly aware of protecting the environment and traditional values,” he said. The Improving the Livelihood of Ethnic Minorities through Community-Based Tourism project is sponsored by Helvetas Swiss Intercorporation, a development organisation, and carried out by the CRED. 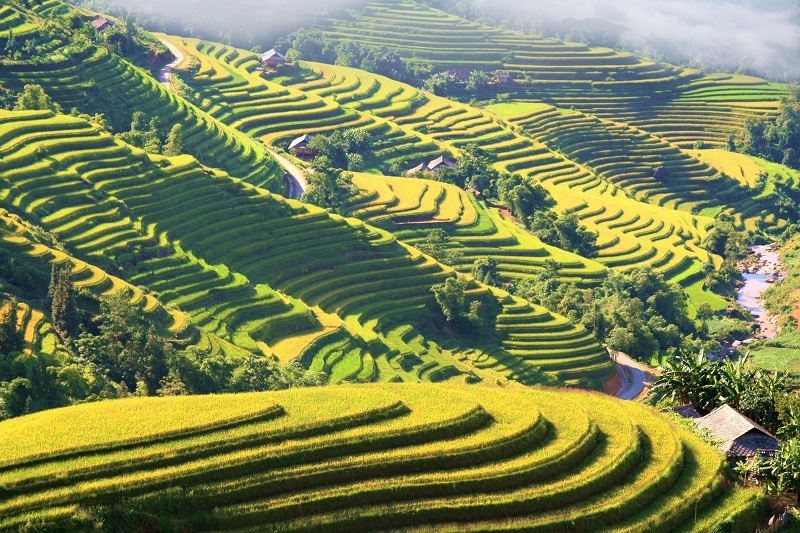 The project has been implemented in four communes of Thong Nguyen, Nam Son, Ho Thau and Ban Luoc in Hoang Su Phi of Ha Giang Province, and the two communes in Quang Yen and Trung Khanh districts in Cao Bang Province from 2016-2019. So far it has involved 10,000 people in the communities, who have benefited from tourism activities. The project has also helped improve living environment, protect the environment and preserve cultural identities.